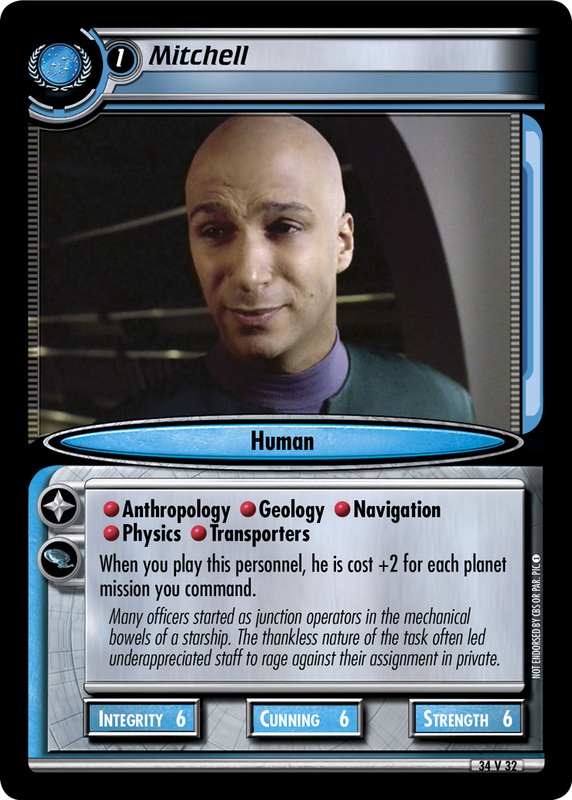 When you play this personnel, he is cost +2 for each planet mission you command. 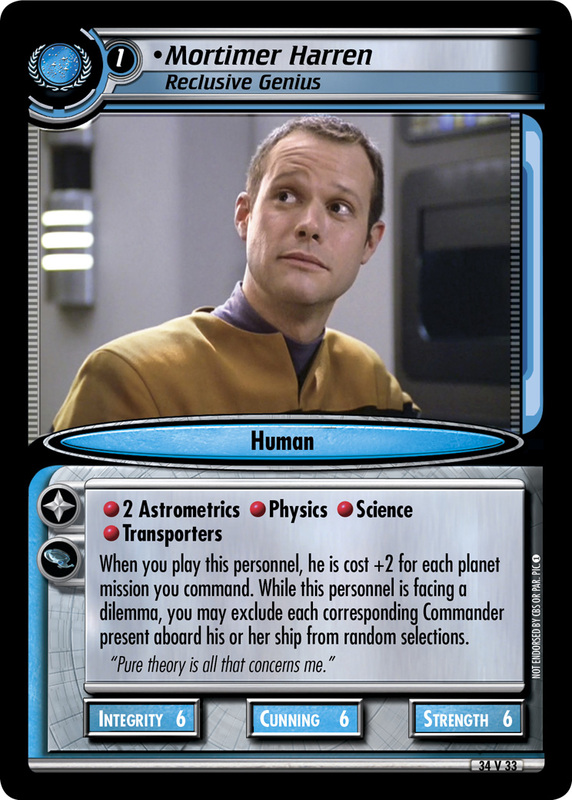 While this personnel is facing a dilemma, you may exclude each corresponding Commander present aboard his or her ship from random selections. "Pure theory is all that concerns me."